Halloween is quickly approaching, spooky movies are playing on TV, decorations are out, and costumes are being planned. 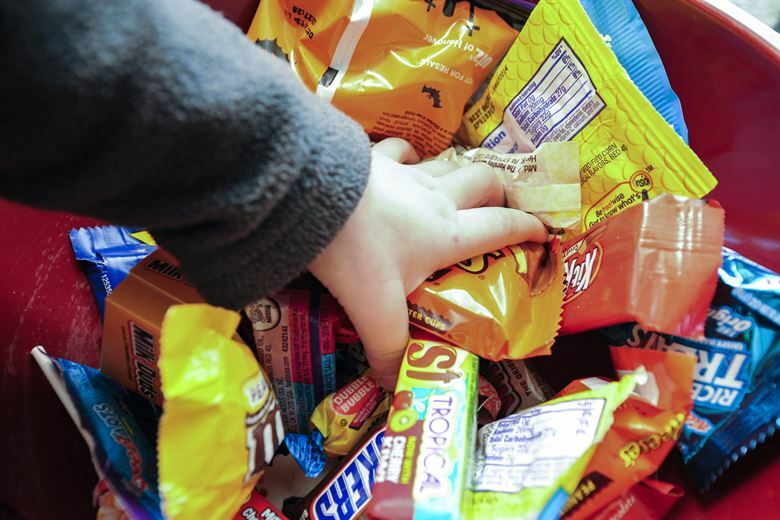 There’s nothing better than seeing all the little ones dressed in adorable costumes, and kids having so much fun running around the neighborhood trying to fill their bags with as much candy as possible. It’s become a competition to hand out the biggest, best candy bars in the neighborhood. I think we can all agree that Halloween is nothing but fun, the dressing up, the trick-or-treating, and hanging out with friends and family. But what isn’t fun are the cavities and health effects that can come with excessive amounts of candy. Don’t worry, I’m not telling you to hand out apples or toothbrushes, but there are other options to help prevent a sugar rush in all the neighborhood kids. The dollar store has lots of options for small, cheap toys. Kids love the unexpected surprise of a toy. You can give out a variety of bouncy balls, fake mustaches, temporary tattoos, glow in the dark vampire teeth, and more. Parents won’t have to worry about the safety of the toys like they do with candy. And the best part is, you won’t be contributing to the rising obesity in children and the inevitable cavities that follow eating pounds of candy in one night. Hand out small snacks, they’re healthier than candy! Snacks aren’t always the healthiest option, but compared to candy, it’s a big improvement. 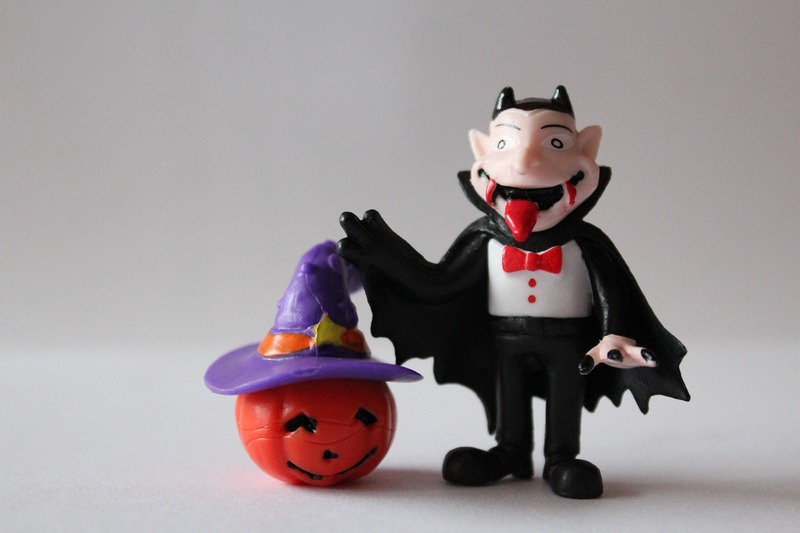 Try handing out delicious snacks that have less sugar this Halloween! 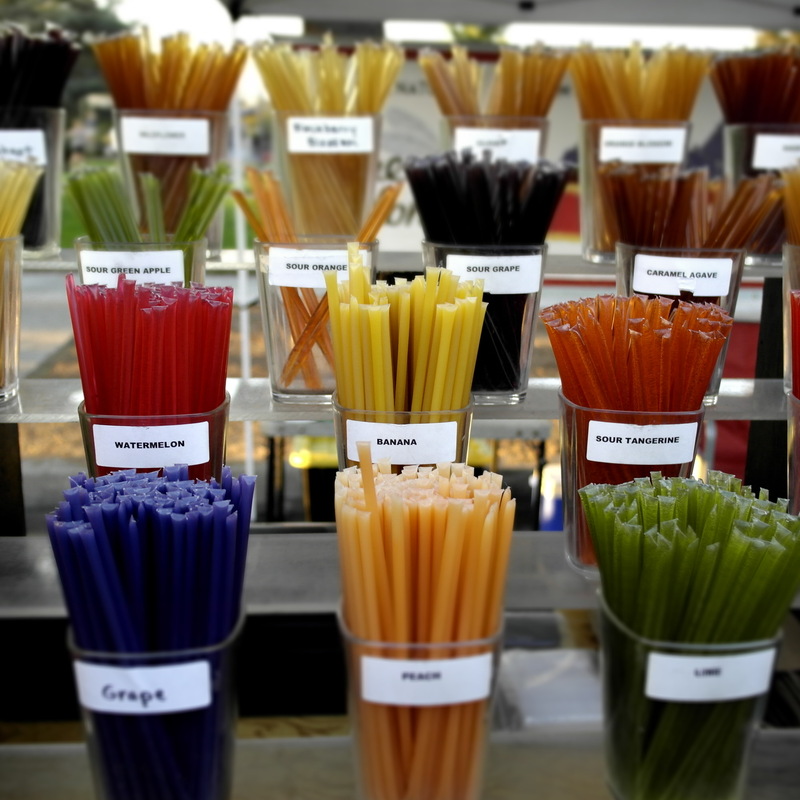 Honey Sticks are great because they’re small, fun to eat, and you can often get them in different flavors. Look for brands that are known to be healthier and organic or local. Annie’s fruit snacks are organic, come in a variety of real fruit flavors, and are made without high-fructose corn syrup. Stick with the candy but make it organic! Obviously, this isn’t the BEST option to prevent cavities and bad health, but it’s a special occasion right!? There are so many better options compared to traditional Halloween candy. YumEarth makes a wonderful variety of snacks and candy that are organic, Non-GMO, Gluten Free, Nut Free, and/or Vegan. They even sell classic Halloween favorites like Candy Corn and lollipops. Justin’s is a brand that makes amazing chocolate and nut butter products. They have options with milk, dark, and white chocolate, as well as peanut butter, almond butter, and cashew butter. Enjoy Life Foods makes mini chocolate bars that cater towards allergies with rice milk options. 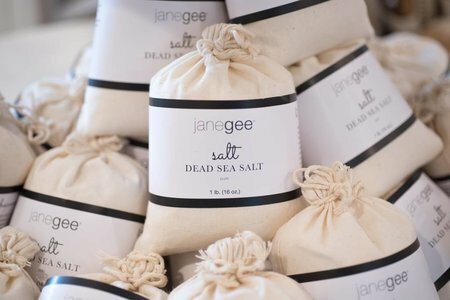 All of their products are gluten-free and non-GMO. Alter Eco make delicious chocolates, truffles, and bars. They’re non-GMO, and are made without soy, emulsifiers and artificial flavors. The truffles are wrapped individually in plant-based, non-GMO, compostable wrappers. Torie & Howard is a brand of organic candy that’s made with all-natural ingredients, no additives, or artificial flavors or colors. They have fruity hard, and chewy candies. 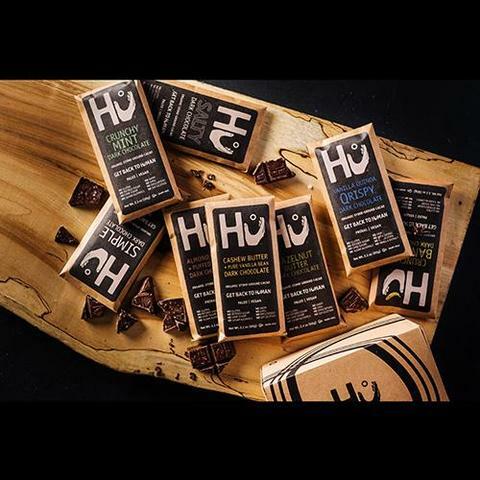 If you’re looking to be the coolest house in the neighborhood, we suggest Hu Kitchen for full sized dairy free, non-GMO, soy free, gluten free, sugar free chocolate bars. They also have a nice variety of flavors to suit anyone’s taste buds. While you might make the decision to hand out better Halloween treats, your neighbors might not. Luckily there are some great ways to handle an overwhelming amount of candy, save your child’s teeth and health, and do good! •Candy trade-ins - Get prepared with small gifts for your kids. Then let them have the option to trade in candy for those gifts. Bigger gifts can be worth more candy, while small gifts can be traded for smaller amounts. Develop those bargaining skills and save their little bodies from sugar overload. •Halloween Candy Buy-Back - Many dentist offices participate in a Halloween candy buy-back. Kids can bring in their candy can get cash back or other prizes. Participating locations will give $1 for every pound of candy donated. The Halloween Candy Buy-Back is designed to lower the sugar intake by kids, and to support our troops. Kids will learn the meaning of donation and be rewarded for helping. Go to halloweencandybuyback.com to learn more and to find a location near you that participates. Halloween can still be fun without all the sugary candy. An average child consumes about 3 cups of sugar on Halloween. And I think we can all admit to taking one or two (or twenty) pieces of candy from your child’s stash. 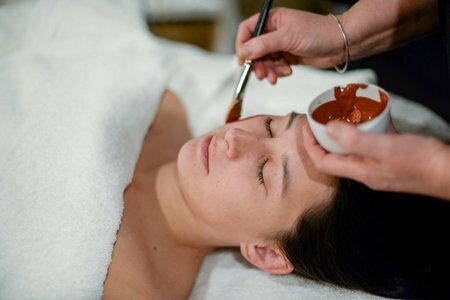 While their skin is too young to show the effects of too much sugar, yours is not. 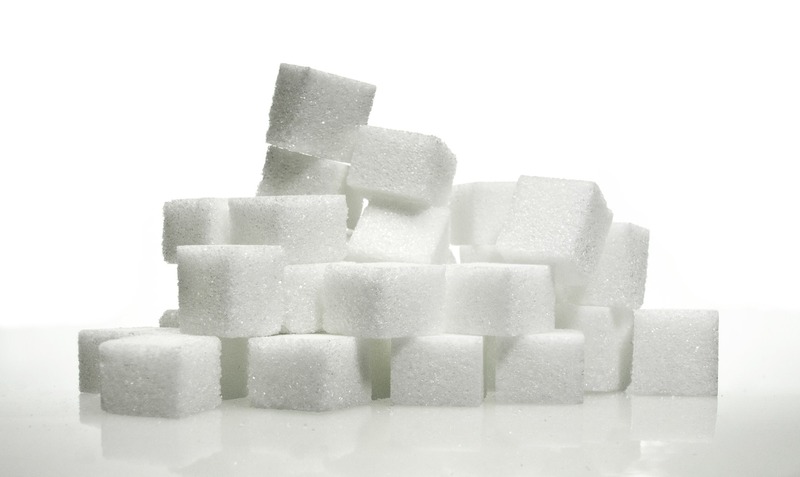 Avoid the temptation by avoiding sugary candy altogether! Protect the health of your children’s little bodies and teeth, and the health of your skin! Replace this year’s sugary candy with little toys, healthy snacks, or organic candy. And if your kids do bring home candy, encourage them to donate it. Healthy habits start young.